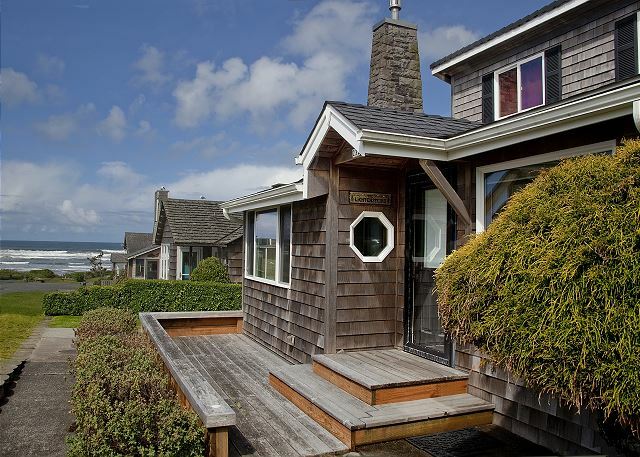 Please note - due to Cannon Beach City regulations this home requires specific check-in days year round, and at least a 7 night minimum stay in the summer months (book 10 nights and the 11th night is free). Please contact us for details. 3 night minimum for Off Season, 7 night minimum during Peak Season. 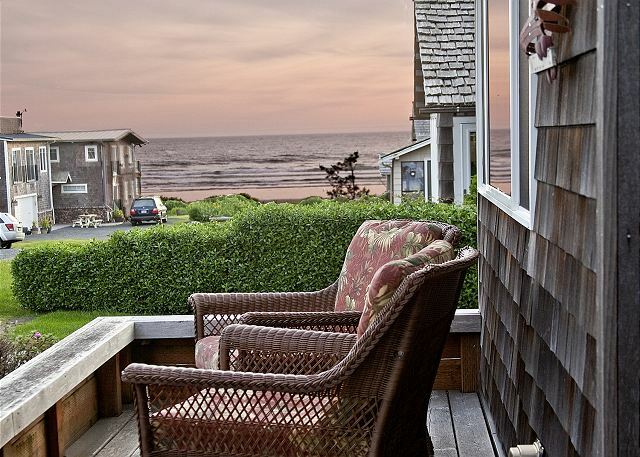 Just steps away from the surf and sand, the Sea Star from Starfish Vacation Rentals provides the perfect haven for a rejuvenating getaway. 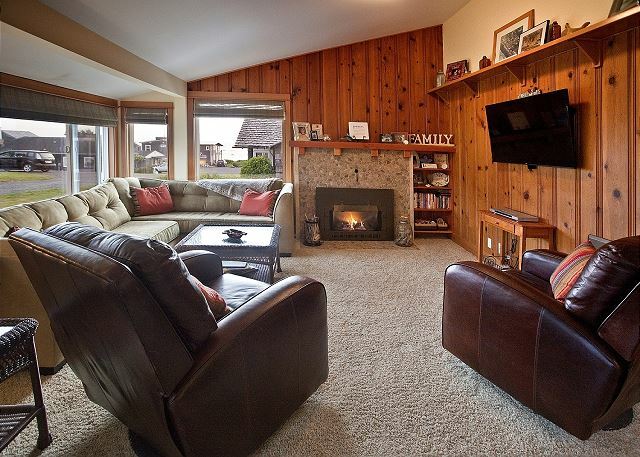 Located in Tolovana Park at the calm, quiet south end of Cannon Beach, the Sea Star features outdoor living at its best. 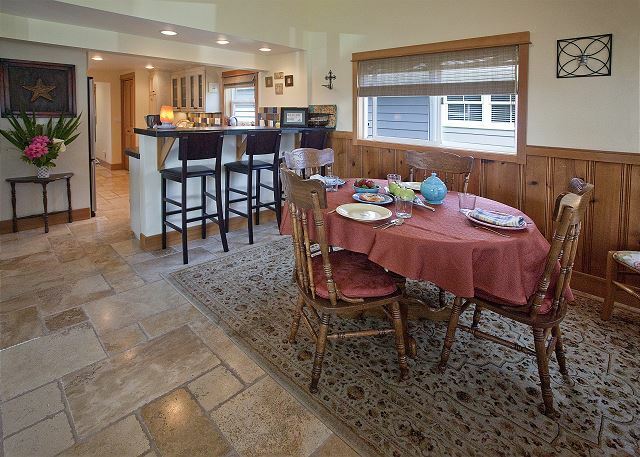 You will enjoy spectacular sunsets and views of Haystack Rock from two spacious decks along with a large backyard perfect for a leisurely barbecue and rollicking game of croquet. Even when the weather is on the wetter side, there's an ingenious covered area out back that offers you the chance to enjoy some fresh air while protected from the elements. Step inside the Sea Star to a beautifully renovated home in which you instantly leave your worries behind. 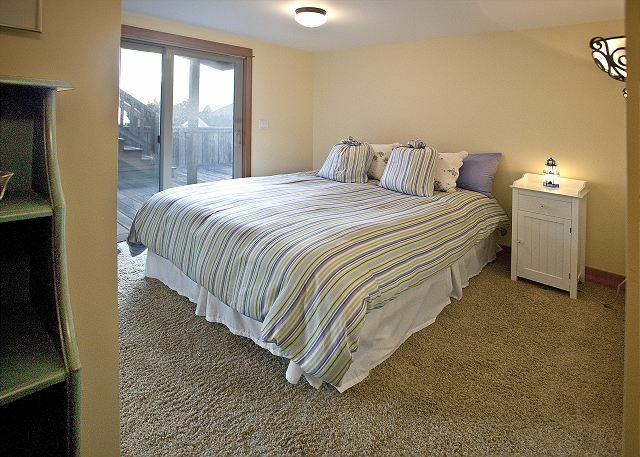 This well-appointed three-bedroom, two-bath home is perfect for families and couples alike. The master bedroom is tucked away privately on the first floor and has a comfortable queen bed with direct access to the backyard. 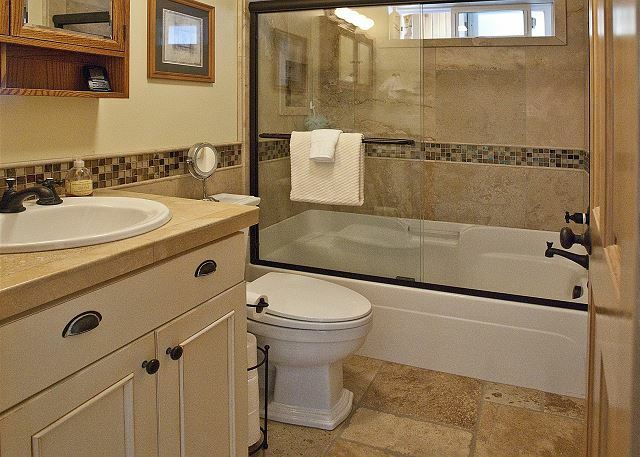 A full bathroom en suite features beautifully tiled surfaces. 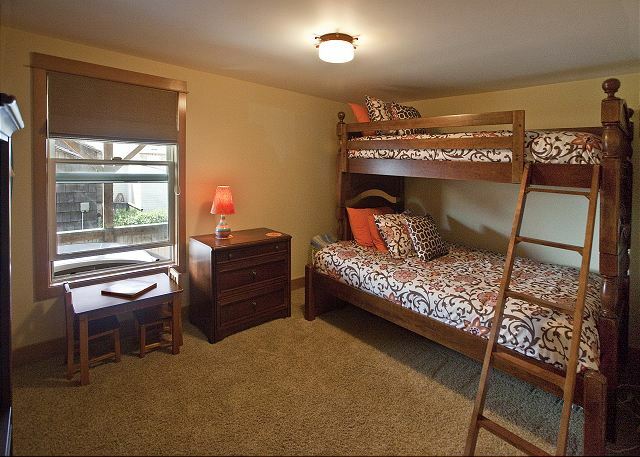 A second bedroom on the main floor has games, toys, and a twin-over-double bunk bed with a trundle below that's sure to delight the young and young-at-heart in your group. 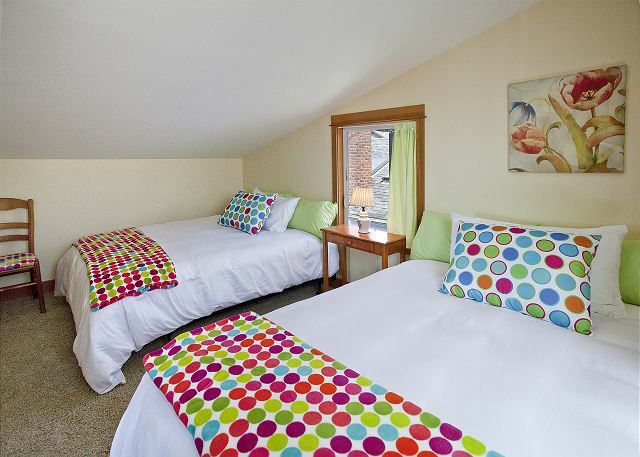 There's a second full bathroom just outside and a third bedroom located upstairs features two queen beds. 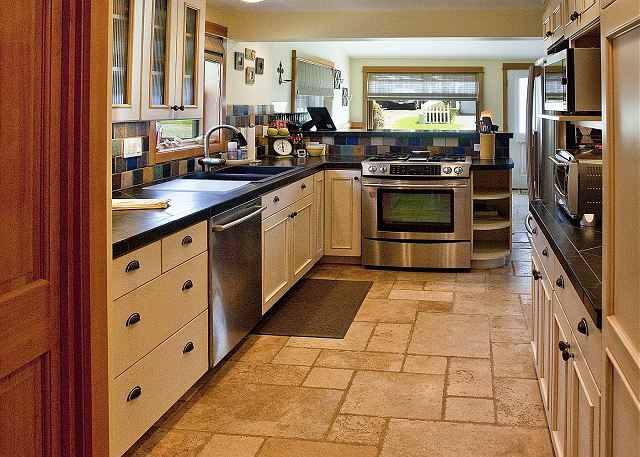 The fully stocked kitchen is ideal for those who love to cook and prefer to do it in style. 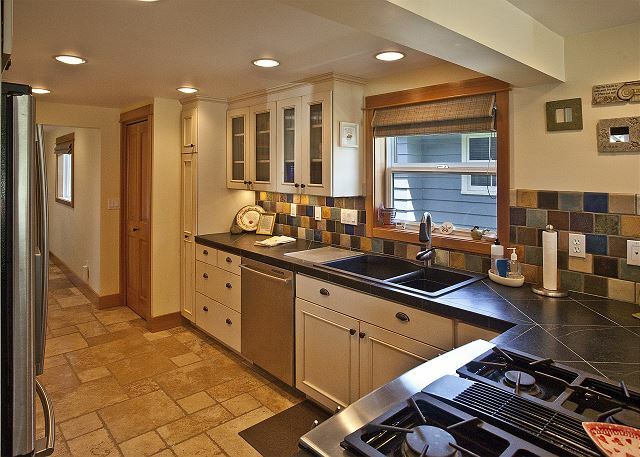 There are stainless steel appliances throughout, soapstone countertops, richly tiled floors, and top-of-the line cookware. The kitchen and dining room are also open to the family room, creating a nice space for entertaining and for friends and family to gather. Flip on the gas fireplace in the family room and settle into the comfortable couch and recliners for a movie night on the HD TV. 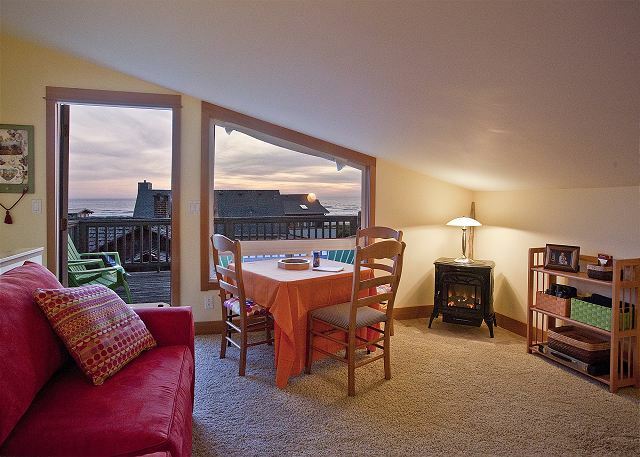 Or wander into the bonus room for a family board game or to immerse yourself in a good book while keeping the ocean views in sight. If you can tear yourself away from the Sea Star, the wide sandy beach is just half a block down the street. 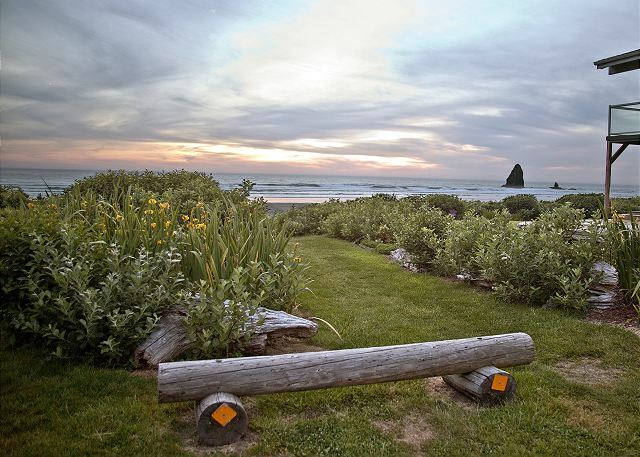 Favorite eateries like the Warren House Pub and Mo's are a short stroll from the house, and when you are ready for more action, it's a lovely, one-mile walk along the beach to the heart of Cannon Beach. 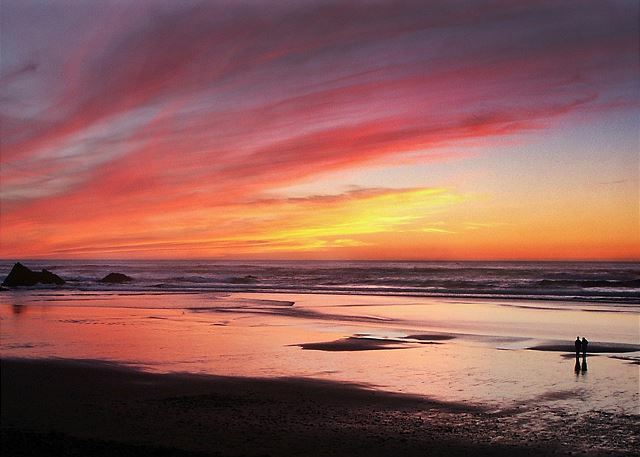 Be sure to stop along the way to explore the tide pools at Haystack Rock. 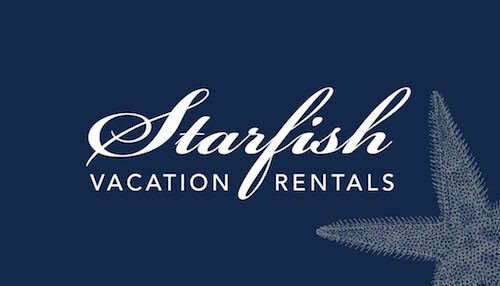 The Sea Star's owners have enjoyed coming to this beach house and the surrounding area for years, and we are confident that once you stay here, you too will want to come back year after year.